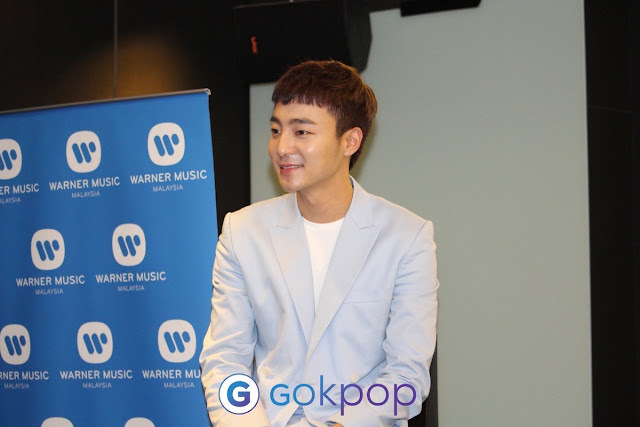 Organized by Warner Music Malaysia, multi-talented South Korean singer-songwriter ROY KIM finally came to Malaysia for the first time for his promo tour. 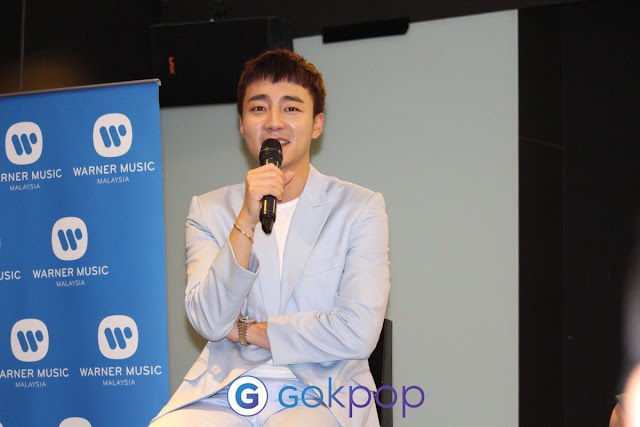 Before kick starting his schedule in Malaysia, Roy Kim took the opportunity to greet the local media at a press conference that was held in Pullman Hotel, Bangsar. With his bubbly and outgoing personality, the press conference was filled with laughter and went on smoothly. Oppps, even Roy Kim could not avoid the Pokemon fever? 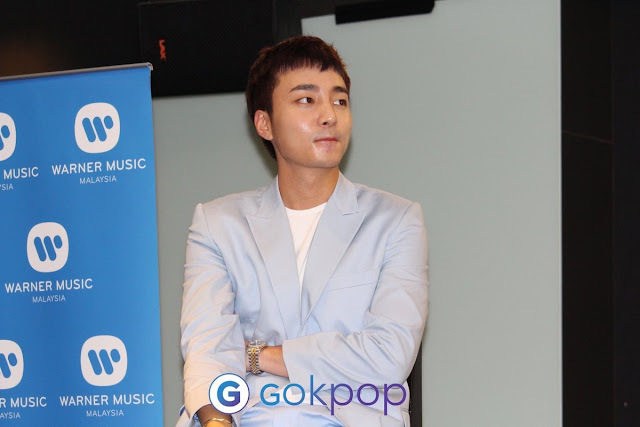 During the press conference, Roy Kim revealed that he is actually playing Pokemon after landed in Malaysia. It’s only his second day but he has already reached level 7! According to Roy Kim the first song he wrote was during his high school year for a project. He started off composing as part of his hobbies and eventually it became his job. He added that through music he is able to travel around such as the promo tour he is having currently. Roy Kim said he usually gets the inspiration to compose songs at night. He revealed that he even wrote a song during his stay in Malaysia since he was really excited and could not sleep. He cheekily replied that he was kind of drunk when he was writing the song so he could not really recall the lyrics but he assured that when the song is released, he would include something like “being written in Malaysia”. Roy said he could not decide which is his favorite song among the songs he had composed because each and every song is like his babies. Thus, it’s kind of hard to choose whenever he received such question. However this time, he will go with the latest song he composed, HOME as it reminds him of his dog. Roy said that he did not plan to go on TV shows a lot because he did not want people to recognize him as a “TV Guy” rather than a musician. Future Plan Roy Kim shared that he would love to go for Asia Tour considering that he had already released three to four albums for the past years. However, he will be heading back to his university in Washington after a few days and will only return to Korea after three or four months. When he was being asked on whether he loves to return to school, he jokingly replied “Oh no no!” in a surprised tone. He added that people call him a “Vacation Singer” but being a singer, he is not able to rest much. Therefore going back to university is more like a rest time to him. Before the press conference ended, one of the media taught the emcee the way to say “You’re handsome” in Korean language. When the emcee told Roy Kim, Roy Kim playfully replied, “Yeah, I know, I know”. Roy Kim then proceeded with TV and radio interview after the press conference. Despite having such a tight schedule, Roy Kim never forgets to put on a smile and show his gratitude towards the media who came for him. We would like to thank Warner Music Malaysia for the invitation to the event!